and those dog-eared travel guides. your aching heart from so much hoping. offering you perfection in every sweet bite. Last May I went to as many events as I could at the Northern Territory Writers Festival in Darwin. The highlight for me was a panel of speakers discussing memoir writing and how family might react to the stories shared. All four women had published a recent memoir.The questions asked ranged from, “Do writers edit out parts to protect feelings?” to, “How much time has to pass before dirty laundry can be safely aired and can it ever be aired?”.The consensus was that you have to tell your own story and navigate the “hard stuff” about who it’s going to affect, the wisest, kindest way you can. There was no easy answer to any question raised. Each writer recognised the problem and each had worked out for themselves how to tell their own story with minimal negative impact on family. Magda Szubanski reminded us that Aboriginal people are very conscious of not telling a story that doesn’t belong to them.She struggled with writing her fathers story, balancing her words carefully so as not to disrespect the Polish Jewish and Catholic communities the family had been a part of. She taught herself to write by finding her own voice and thus making the telling her own, if not the story itself.The memoir took her eight years to complete. Each person has a unique story, unlike any other. And to be able to tell it freely enables a person to make sense of their life’s experiences. To clarify their emotions, to heal from losses, to inspire and encourage and to preserve cultural identity and so much more. Storytelling is fundamental to human experience. As listeners or readers we are entertained, we learn, we experience vicariously and we are enlarged by the contact with another person’s world. But, for all the benefits it’s still a balancing act to be honest in our telling and to share our story, without taking away from those closest to us what is rightfully theirs. Their story, their perception, their life. And isn’t that the same compromise we face day after day, whether writing a memoir or living our lives. 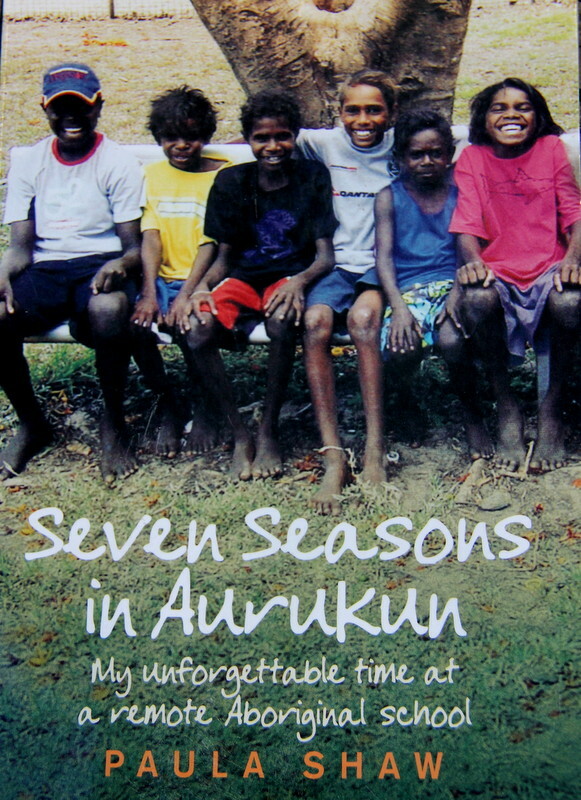 A year after I started work in Aurukun a book was published (2009) Called “The Seven Seasons in Aurukun”. It was written by a woman who’d been a young teacher for two years in Aurukun in 2004/5. It was the book I’d wanted to write, her experiences, her impressions. She didn’t try and explain the “Indigenous Situation”, wasn’t overly political, the book was highly personal. Just want I needed to read at that time, to see how another woman had survived in Aurukun. I’d been writing my own account in a journal with the thought that it would one day make an interesting read. She was a teacher, I was a nurse, both had very different jobs and relationships, but when I heard about her book I assumed I didn’t have anymore to add. Sitting around the white plastic table in the kitchen of the clinic one morning, the nurses discussed this book. A male nurse loudly stated his opinion that the book was “self-indulgent crap”. I cringed inwardly wondering how he’d judge anything I wrote in the future. It’s taken me a few years to realize someone is always going to say that about anyones memoir, and worse. It doesn’t matter, we all have a story within our one life and only we can express it. I’m now on the third draft of my remote area nurse memoir and I hope I’m prepared for any opinion, comments and judgements when it’s published. Each story passed on adds to the wealth of human experience.